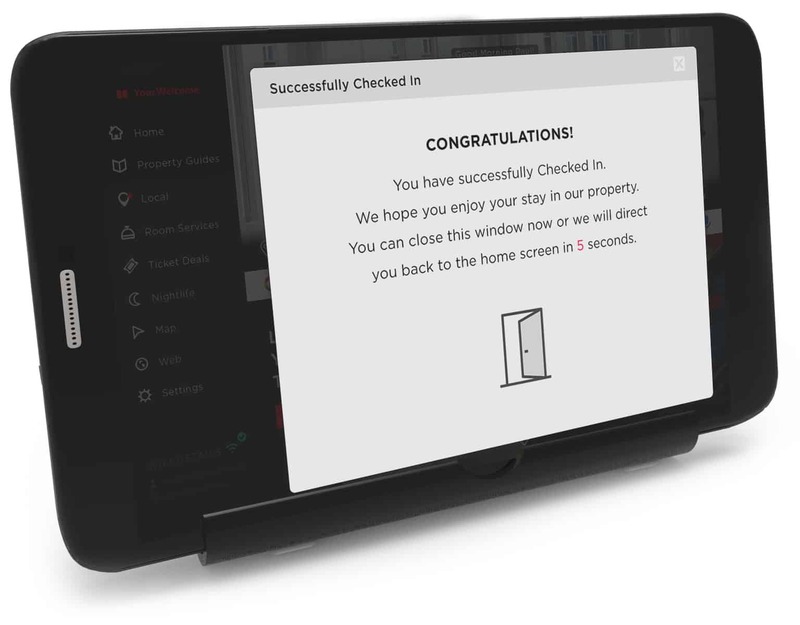 Announcing Guest Check-In from YourWelcome –a system to remotely manage the check-in process for your property. 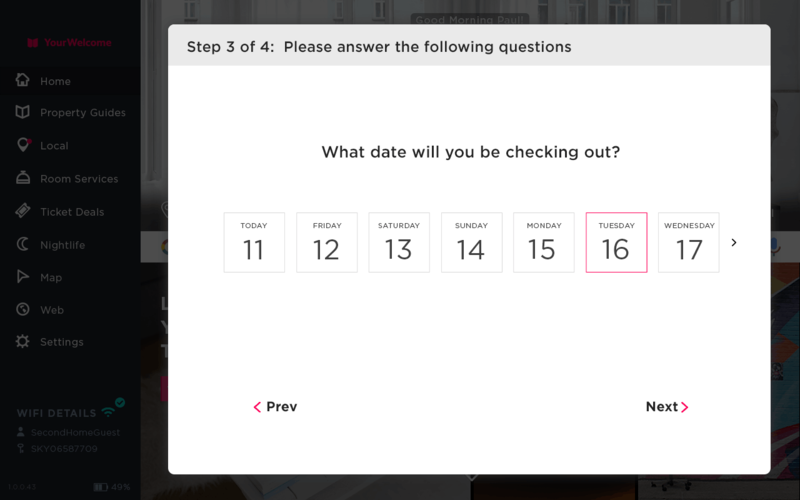 Today we introduced a new feature to help you check your guests in to your property. Guest Check-In from YourWelcome notifies you when your guests arrive at your property, and captures useful contact information from them – in case you need to get in touch. An email is sent to you as soon as your guests check-in via the YourWelcome tablet – perfect for anyone that can’t be there to see them in. The guests receive an email, too – welcoming them to the property and encouraging them to use the property guides on the tablet for more information. 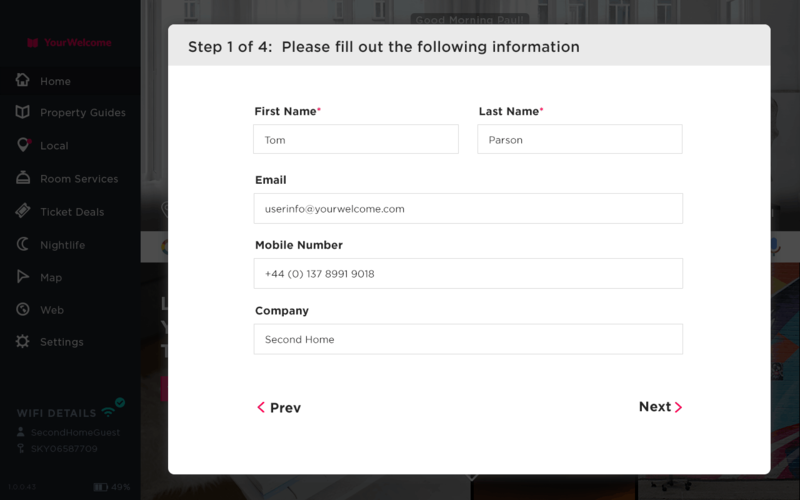 You see check-ins from all of your properties via the YourWelcome dashboard, along with valuable contact details – email, phone number, company – that your guest adds to the form. You can use this to get in touch with them during the stay, or keep the details to remind them to leave a review – or even add them to your mailing list. Get this for your property – subscribe to YourWelcome now. This new feature is available as part of the latest update. To update your tablet, leave it plugged in and on standby – the upodate will commence automatically if the battery is more than 25% charged.